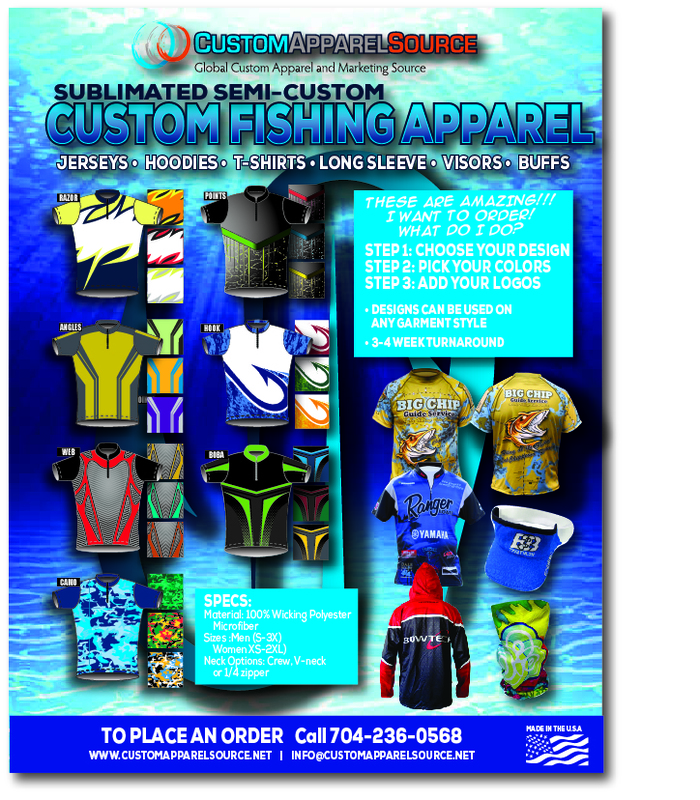 We now offer custom fishing apparel. Performance wicking UPF 50 protection fabric with wild graphics, bright colors just like all the other guys are doing. You can create your own design or choose from the below semi-custom designs and we can add your team logo and sponsors to the shirt. Performance gear that you look good in – on and off the boat. 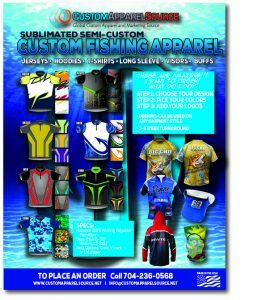 We offer several styles such as a fishing jersey, short sleeve, long sleeve and hoodie and even visors with a terry cloth headband inside. We also offer different neck options such as crew, V-Neck and 1/4 zipper. Give us a call to order today. Only a 3-4 week turnaround time!